Two years ago, on this day, I first set foot in the great land of Ah-meri-kah. Tucson, Arizona to be precise. When you go into the US Embassy to apply for a US visa, they show you this short video clip of all things American in the waiting room. Watching that, I thought to myself, “Dang, I’m gonna see all this!” Of course, that video clip was of all things good and colorful in America. 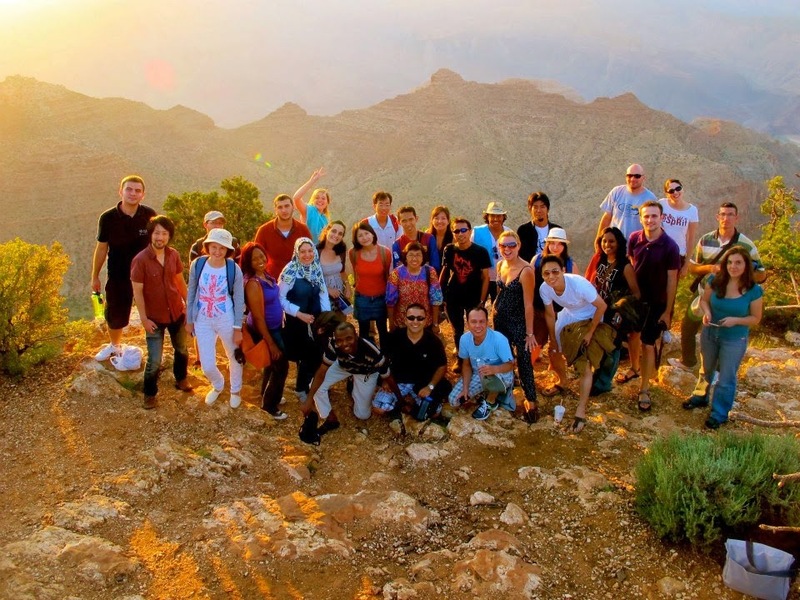 Once I arrived in Tucson, I spent the next three weeks in an apartment with 46 other international Fulbright students from all over the world at the University of Arizona. 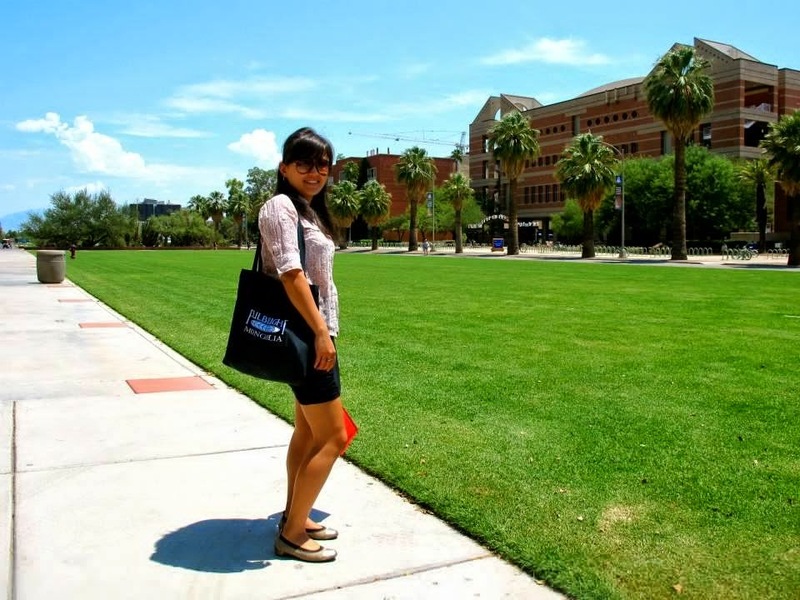 The first time I stepped on the crisp green lawn of the UA campus, I was like “Wow! This is what a real campus looks like!” (This one was bigger than the ones I’d been to before). During these three weeks of orientation, we were taught “How to Survive in America”. 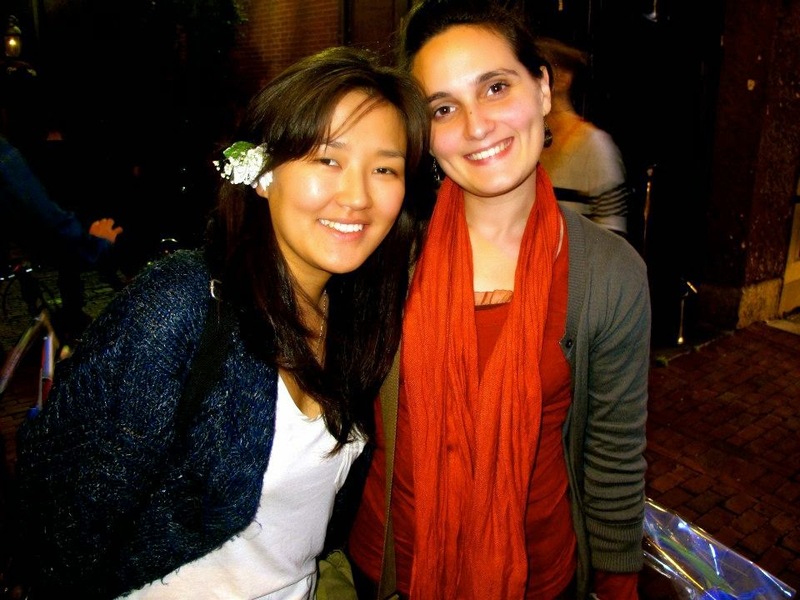 Because we were international students, we had 2 classes of oral English and 2 writing classes each week. Our oral English classes were the best and most fun. Our orientation was packed full of events and activities, usually from 8-6 everyday and the weekends. I later on realized that this part of the Fulbright program was a teaser of what it would be like in grad school - with a bit more downtime to do a lot more work! Tucson, (read Tuh-Song not Tukson which I initially thought) is a city in the State of Arizona. It is literally a town in the desert. All the buildings are less than 4 stories, with the exception of a small down town area. 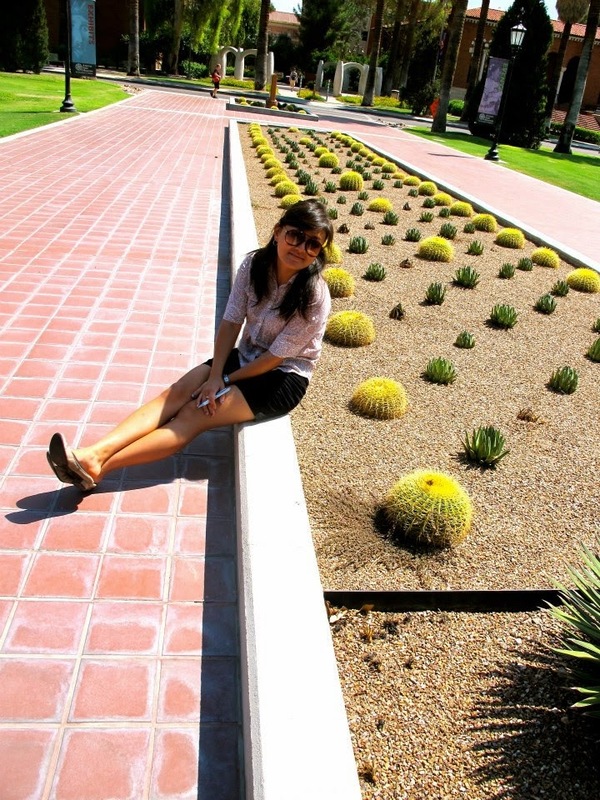 You see cactuses everywhere and I mean EVERYWHERE! All sorts of cactuses you never knew existed, in funny shapes and sizes. The weather is extremely hot and for most of the time that I was there it was 45 degrees Celsius or more everyday! I never knew that the sun drained energy so much. It drained my energy so much that by the end of the day I had no energy to work on homework. I’d take a nap at 5pm hoping to sleep for an hour and it would be 10pm when I have the energy to get up. I grew up fairly acquainted with American culture through all the pop music that I listened to as a kid and the movies and sitcoms we used to watch, so I had somewhat an expectation. But the culture in Arizona was a bit different than Hollywood. Most people drove a pick-up truck. They would carry around huge sizes of soft drinks and were fairly oversized people (compared to the ones I later saw in the US). I honestly did not like the food served at restaurants and eateries. It would mostly end up being deep fried frozen food, big chunks of steak and meat or Mexican. 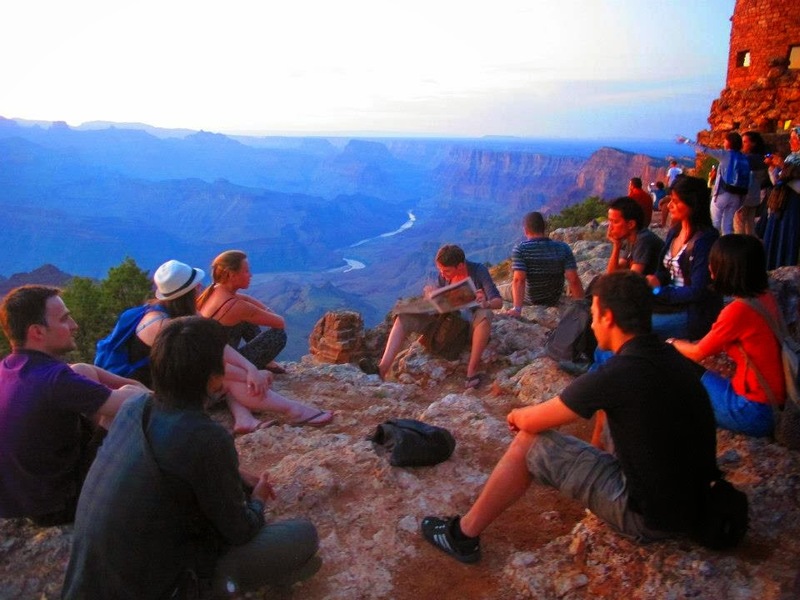 Among the many activities and events we participated in while in Tucson, the best experience was our trip to the Grand Canyon. Picturesque. Magnificent. Breathtaking – are the words that I would describe it. I wanted to fly over the Canyon and Colorado River if I had wings. I missed the sunrise, but managed to catch sunset there and it truly is an amazing experience one must see in a lifetime! 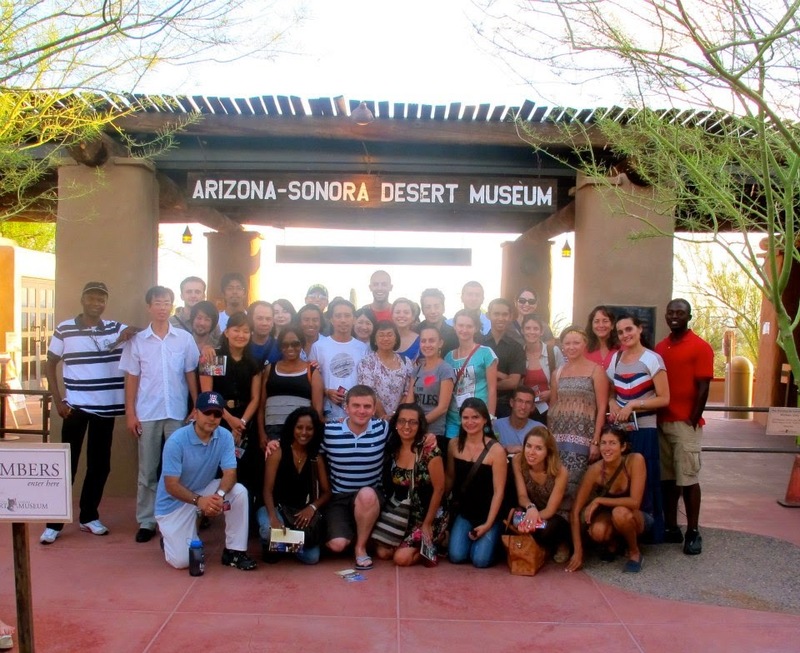 As for the group of students I made friends with in Tucson, it would take chapters to describe everyone I met there. 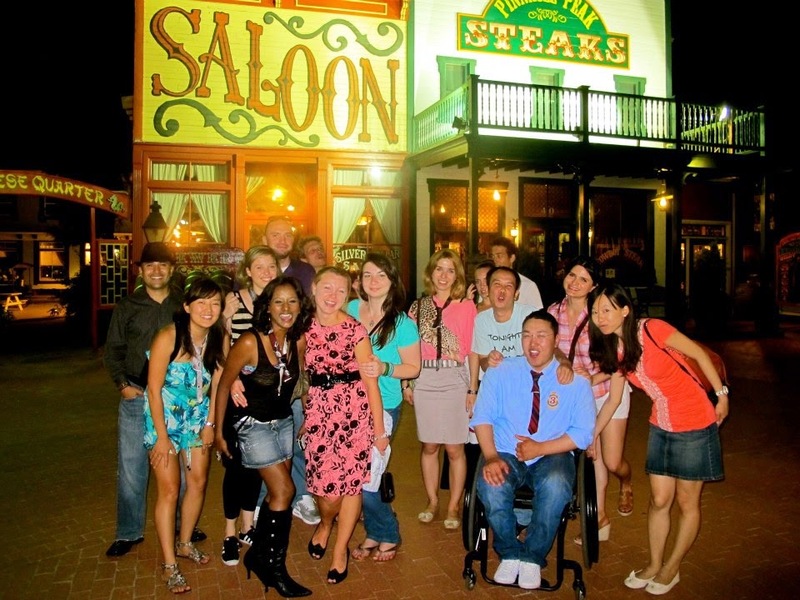 They were the most versatile, diverse, friendly and intriguing group of people I ever met. My roommate Haifa, was a girl from Tunisia. She had the greatest heart and everyone loved her. Among the many things I learnt from her, was about Ramadan. I did not know much about the ceremony until I saw someone observing it in front of my eyes. Haifa would not eat, or drink (even water) in 45 degrees Celsius, for a month! Then she would wake up around 4 am to quickly make something to eat and get back to sleep. I actually started to worry for her, as she turned pale at times. Then I realized that a few of the other students were also observing Ramadan too. Religion and culture are really interesting things and the Fulbright experience taught me a great deal about it. Coincidentally, Haifa was going to Dartmouth in New Hampshire and I went to Tufts in Massachusetts (4 hour drive from each other). Haifa’s program was for a year and she would visit whenever she got a chance. Haifa studied literature and I felt she was born to relive great literature from the past. She had an inner talent and was affluent with words. Later on I found out that her father was a famous writer of his time. Although our paths are far from near, I consider her to be a great friend with a dear heart. The other students were equally talented and intellectually fascinating people. Most of them had great accomplishments of the past and high hopes and dreams for the future. For the 2 years I lived in the US, the friendships with the Tucson gang are the ones that last longer than some of those I made later on. And today I sit here reminiscing on the good times I had with them all, knowing that experiences as such only come once in a lifetime. Therefore, it should be celebrated all the time!